For sparkling wines. .20c Each. Designed to hold in the Champagne stoppers. .20c Each. 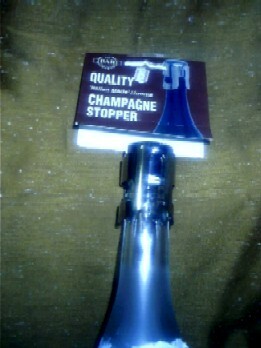 Applicator used to apply wire to champagne stoppers. Soak the corks in hot water (60-70c approx.) for 15 minutes befors use. Simple to use at a budget price. Simple to use, low price, Hygienic & unbreakable. Made in Italy. Made in Italy from high quailty chrome, ideal bar accessory. Seals both champagne and sparkling wines and keeps them for days.